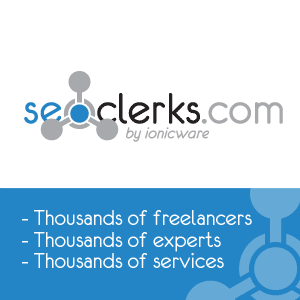 Looking for Royalty Free Stock Images? Todays’ world of marketing is increasingly visual. It’s no coincidence that the newest and fastest-growing social networks on the web, like Facebook, Pinterest, Instagram, and Snapchat, are focused primarily on visual content. Great visuals are important because the human brain is wired to read and understand images better and faster than words. But often finding the right images is time consuming and often expensive if you have buy them. Usually you can find free ones, but more often than not the really good ones, the ones that you actually want, you usually need to pay for them. This may well be the answer to your search for quality, royalty free image stock. For a small one time payment you can download royalty free images and have access to hundreds of high quality images, audios and more. It can be frustrating to hunt for royalty free stock images, especially if you have a small budget. Finding high definition stock images can be difficult and expensive, and recently I purchased a product called Stock Media Rush, a collection of stock images and videos that you can use to add some spice to your websites, articles, and sales pages. In this Stock Media Rush review, I’ll take a look at the product, weigh the pros and cons, and then summarize my thoughts with a final conclusion, as to whether I think this product will benefit your business or not. So if you’re a website owner and you’re looking for some stock images but you’re not sure if this is the product for you, continue reading this article! “Before I begin the review, I would like to let you know that I do not work for the company that owns this product and this review is entirely opinion-based. 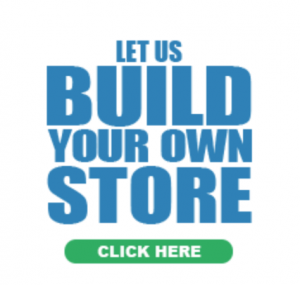 I am sharing my honest thoughts about this product as I have purchased it and have experience with using it”. 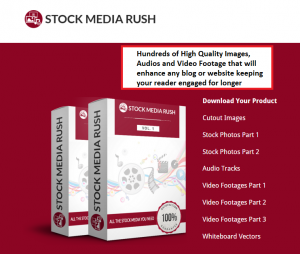 What is Stock Media Rush? Stock Media Rush is a collection of stock images, clip-art, audio tracks, and videos. The images are based on various themes, such as: autumn, Christmas, nature, religion, and many more, for a total of 27 themes. The two main parts of the product (Stock Photos Part 1 and Stock Photos Part 2) are about 700 megabytes each and contain more than 200 images. The Zip files will download relatively fast depending on your internet connection. Each Zip file contains over 20 folders for different themes and at least 5 images in each folder. Many of these images do not have transparent backgrounds, but the quality is excellent, and you can edit them as you please, since they’re not copyrighted. Looking at the some of the pictures I couldn’t help but admire the quality and beauty of them. I had to resist the temptation to change many of my existing images. Then, there are the cut-out images, (transparent backgrounds) created mainly for promotional purposes, eBook covers, marketing materials and banners, etc. These images are extremely useful for marketers who want to create attractive sales pages. If you’re a blogger you can also use these images to add some life to your articles. There are also some Vector art and whiteboard animation templates for you to use! Take a look at the thumbnails below. This file (Cutout Images) is about 700 megabytes and the Zip file contains exactly 200 stock images, all with a white background. The images are based on a wide range of niches, it’s not specific to any particular niche, but rather a broad collection of images. Next, we have the audio footage, video footage, and whiteboard vectors, which we’ll discuss in a little more detail. When you think of stock images you probably don’t think of audio files, but audio files are especially important for marketers, especially if you want to create professional videos. The audio Zip file, is 644 megabytes and contains over 110 stock music tracks, ranging from soothing melodies to up-beat rock and beats. 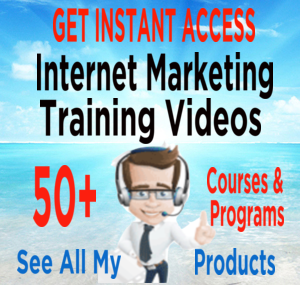 You can use these audio files to create marketing videos and publish the videos on YouTube. The length of the audio tracks range from 30 second segments to 5 minute loops. The video files are short, high definition segments of various locations and themes. For instance, there’s an airport scene, coffee shop scene, beach scene, and many others. As you can see the video is high quality and can be used in a multiple of applications from background scenes to fully edited sales pages. You can also use any and all the images in the following video and graphic editor software. Right off the bat, there are a few things that I loved about this product. For starters, I like the quality of the files, all the images and videos are HD and easy on the eyes. They’re not 1080P but they’re quite close. So, I have no problems with the quality of the files, I think all of the files are excellent. Secondly, I like how the files are organized into folders for specific categories. 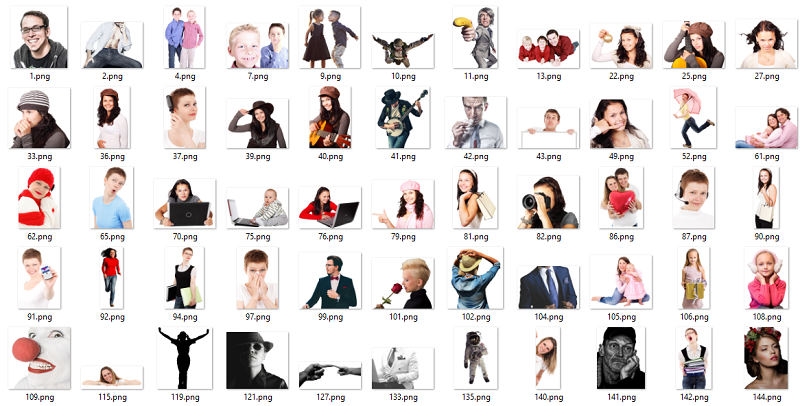 Most stock photo collections are massive, unorganized, messes. These files are well-organized and it makes it easy to find the images that you need. Third, I discovered that these images can be used to bring in bonus traffic with WordPress, when you upload a new picture you can edit its text description and tags, these are perfect locations for your primary keywords. You’ll improve your website’s search engine rank! Lastly, the member’s area was easy to navigate and all the links are in one place (though the files will take some time if you attempt to download all of them at the same time). 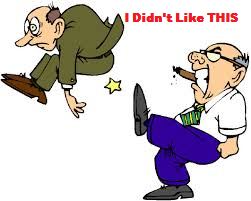 These images and files can be used by everyone who also has purchased this product. That means there’s a chance that other people may be using the same files for their businesses. On the other hand, I don’t think this is a serious issue because even if you buy an image elsewhere, you may come across the same issue, so it’s probably no worth worrying about. Having tried several royalty free stock image collections in the past and being disappointed with most of them, I admit Stock Media Rush took me by surprise when I discovered the files and images are actually all top-notch. So, if you own a website or are into blogging and you need some stock images, I recommend Stock Media Rush, it’s an awesome collection of images and audio /video files that you can use to create stunning visuals. 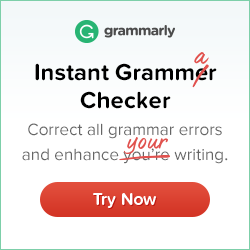 It is always a great idea to have relevant images in your articles (and don’t forget to edit the text details to attract some more keyword juice!). 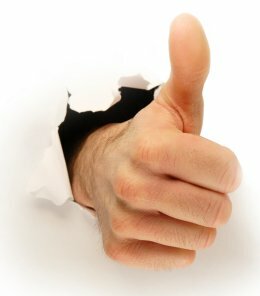 All in all, I recommend this product, it’s an awesome resource that you can use to spice up your sales pages and boost conversion, earning more money in the long-run! Thanks for taking the time to read this article about royalty free stock images and royalty free pictures. I hope you got value from this information about where you can download royalty free images. If you enjoyed this post “Royalty Free Image Stock” the please leave a comment or let me know your thoughts below and if you do share this article on social media I will really appreciate it, thanks! 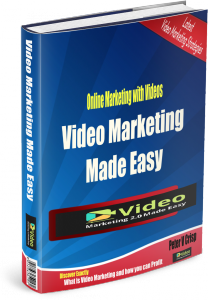 If you leave a comment, I will reward you with a free PDF copy of my book; Video Marketing Made Easy – sent directly to the email you use. So please accept my bribe and leave a comment. The book is awesome and so are you for leaving a comment! Thanks ? 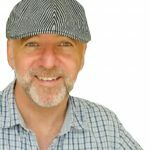 Awesome article, Being a writer myself it is very difficult in finding good images for my content. I never heard of stock image before until now. You article has allow me to explore my option. Fabulous article thanks. This is excellent information and such a good review. Thank you! Hadn’t heard of Stock Media Rush until reading your review. I have been using a free image library for a while and it seems to work well for me, but it does have it’s limitations. I need something with pictures relating to Internet marketing and all the good ones seem to come from ShutterStock. Does this compare with that one or is it better than Pixa Bay? I have never heard of Stock Media Rush before because I’m just new in online business you blog really help me. Thanks for writing this blog. Hi Peter, thanks for the detailed post, exactly what I was looking for, I have been using a few other sites like Unsplash & PicJumbo but will definately be checking these guys out. Great review! I was looking for some stock images for my blog posts and this might be exactly what I need. Thanks for the detailed and honest review! First time heard about Stock Media Rush. Thanks for sharing such a great review so that could have more options beside the common used free stock images. Most of the paid image is quite expensive as it is charged as per image or download. It would be great that sold in a package like Stock Media Rush. Just one question. You mentioned in the Details that it’s priced at $16.95* (keeps increasing). But your conclusion states that “Letâ€™s not forget the price! = For under $30.00 itâ€™s a bargain!” So, what would be the actual price? Wow that is nice to know in regards to Stock Media Rush. I’m very fortunate that in my particular niche, it is very easy for me to create my own pics/screenshots and videos so I really don’t have to go searching for other images online to use. However, I do plan on creating some other websites in the future and I know I won’t have that luxury in my planned future niches. I will definitely keep my eye on Stock Media Rush after reading your review as the price is not bad and what you get with seems too good to pass up. Thanks for posting that! This article on royalty free images was very useful. I have bought this package as well, so I do understand your minor concern about others using the pictures, etc. It is a big internet world though so I think the two of us will be alright! Stock Media Rush is one of several packages that I have bought because it saves me a lot of time. I agree that for the price this is a very good investment, and thanks for including some samples for visitors to have a look see for themselves. Looking for royalty free stock images can sometimes be a daunting task. To be honest with you, I have never bought an image before in my life. Most of my articles are product reviews, so my images will mainly be screenshots. you can also get royalty images if you customize the search tools button inder google images. Another good resource is Pixabay. To pay $17 for premium stock images looks like a good deal. This is a great article on Stock Media Rush, including what they have to offer for pictures on a website. It may not be free but at least it is only a onetime payment to gain access to everything. Have you ever used Free Digital Photos? Itâ€™s pretty good for getting free photos and it has good quality pics. Yay! My lucky day! just exactly what I was looking for Peter. Just updating my site and need some royalty free images after searching few sites could nt find what I wanted .. bookmarking this article and some of those suggested sites. Love the video footage of the Catalan flag flying high!